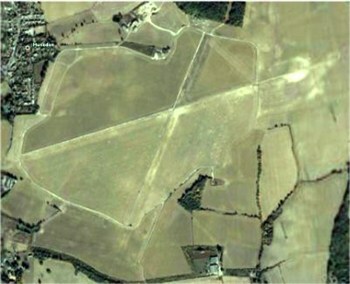 RAF Hunsdon, as Hunsdon Airfield was once known, become operational in 1941. The first unit to arrive at the Airfield (in May 1941) was No. 85 Squadron RAF, flying Hurricane Mk1s. In June No. 1451 Flight was formed. This experimental unit flew Havocs with searchlights fitted in the nose of the aircraft. This experiment was not successful and the unit was reformed as No. 530 Squadron RAF in September 1942. Numerous Squadrons and Wings used the airfield during its operational life. Hunsdon is most closely associated, however, with the de Havilland Mosquito aircraft, which first arrived in 1943. On February 18th 1944, Mk 4s’ from No. 21 Squadron RAF, No. 464 Squadron RAAF, and No. 487 Squadron RNZAF which formed No 140 Wing (Wing Commander P.E. Pickard DSO DFC) carried out Operation Jericho, otherwise known as the Amiens Prison Raid.